Edwards, Knoxville. Cody Baker, Metro Nashville. 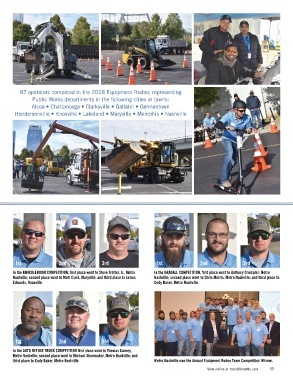 1st	 2nd	3rd                                                                    Metro Nashville was the Annual Equipment Rodeo Team Competition Winner. third place to Cody Baker, Metro Nashville.